This is an original production cel from the 1966 Hanna Barbera animated special, The New Alice in Wonderland. 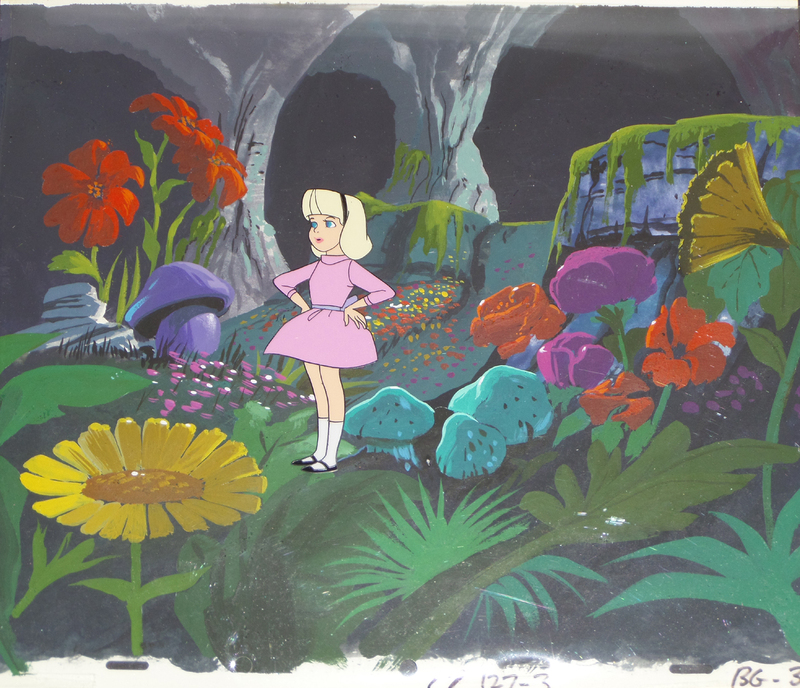 The cel features a great image of Alice and was hand-painted in the studio and used during the production of the film. The cel has been applied to an original production Hanna Barbera background that appears to be from Super Friends. It was very common for the studio to create a set-up like this, utilizing cels and backgrounds from non-matching productions. The untrimmed cel measures 10.5" x 12.5" and the character image is approximately 4.5" x 3".